Jeff has been involved in the natural gas industry for more than 36 years. He has served as CEO since 2003 for Grey Forest Utilities (GFU), a gas distribution utility that serves approximately 15,000 commercial, industrial and residential customers in the Metro San Antonio, Texas area. Prior to joining GFU, Jeff was President/CEO of Pepco Gas Services, Senior Vice President-Energy Services/Natural Gas of Pepco Gas Services, Vice President-Energy Services of Colonial Oil and Colonial Energy, Vice President-Energy Management Services of Pace Global Energy Services, and City Manager of Wrens, Georgia. 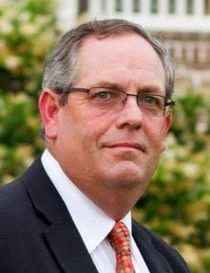 Jeff is a Past President and Chairman of the Board of the American Public Gas Association (www.apga.org), the principal advocate for publicly owned gas distribution utilities across the Nation. He is a past member of Municipal Advisory Group of the Gas Research Institute (GRI). He is the recipient of both the Personal Service award and the Distinguished Service award from the American Public Gas Association and has received special recognition from the Gild of Ancient Supplers (www.supplers.org) for his work in expanding the interest in and utilization of natural gas for both human needs and in industrial processes throughout the nation. Jeff is actively interested in and currently involved in the development of CNG fueling capabilities and options for natural gas customers. Jeff believes that the future expansion of CNG vehicles in the market depends upon the ability to access fueling with self-powered compression technology from distribution utilities on a low-pressure basis.